Do you want to have a healthy diet that keeps heart disease and cancer away? If your answer is yes, many would suggest you include balsamic vinegar in your diet. But then, is it really good for you? This post has the answers! Would you like to know them? Keep reading! This vinegar of Italian origin is loaded with goodness that benefits your health in more ways than one. It is used as a tonic to provide effective relief from ailments such as indigestion and heartburn. It is low in calories and has no fat content; and is the perfect condiment for marinades, glazes and salad dressings. What Makes Balsamic Vinegar Good For You? According to research, this vinegar contains certain compounds that may have curative properties. For instance, studies have found that it is rich in antioxidant plant compounds known as polyphenols(1). These compounds, when ingested, have been found to help in abating atherosclerosis-associated oxidative damage to blood lipids. Balsamic vinegar also contains melanoidins. These substances give the vinegar its rich dark color and viscosity. According to research, melanoidins may have antioxidant properties and help in the prevention of oxidative damage that is connected to meat digestion (2). Therefore, the next time you eat a dish with meat, say a turkey sandwich, you should consider getting a salad that has a dressing made with balsamic vinegar. Balsamic vinegar contains a high amount of acetic acid. According to research, this acid, which is also present in other types of vinegar, may have some excellent health benefits. In a study that was published in 2006, it was found that acetic acid played a role in lowering triacylglycerols and serum cholesterol in rats that were fed a diet rich in cholesterol (3). This indicated that the consumption of vinegar might have positive effects on the cholesterol levels in humans. In another study conducted on diabetes, it was concluded that acetic acid administration through the ingestion of vinegar improved insulin sensitivity in people suffering from diabetes. As you can see, balsamic vinegar and others have excellent health benefits. It should definitely be made a part of your daily diet. Add it to your favorite salads, desserts, cocktails, etc. You can also use it to glaze meat before you put it on the grill. There is so much that you can do with this delicious and healthy vinegar! Quercetin is found in the grapes that are used in making balsamic vinegar. Quercetin is a bioflavonoid that has antioxidant properties. It contains Vitamin C as well, and its antioxidant action helps in strengthening your immune system. This means that your body will be able to fight inflammation, infections and even life-threatening diseases like cancer. Balsamic vinegar has low levels of cholesterol and saturated fat. This means that it does not cause harm to your heart. By using dressings that have this vinegar, instead of those with high cholesterol levels, you make sure that your heart stays healthy as unwanted fats will not get deposited in your blood vessels. 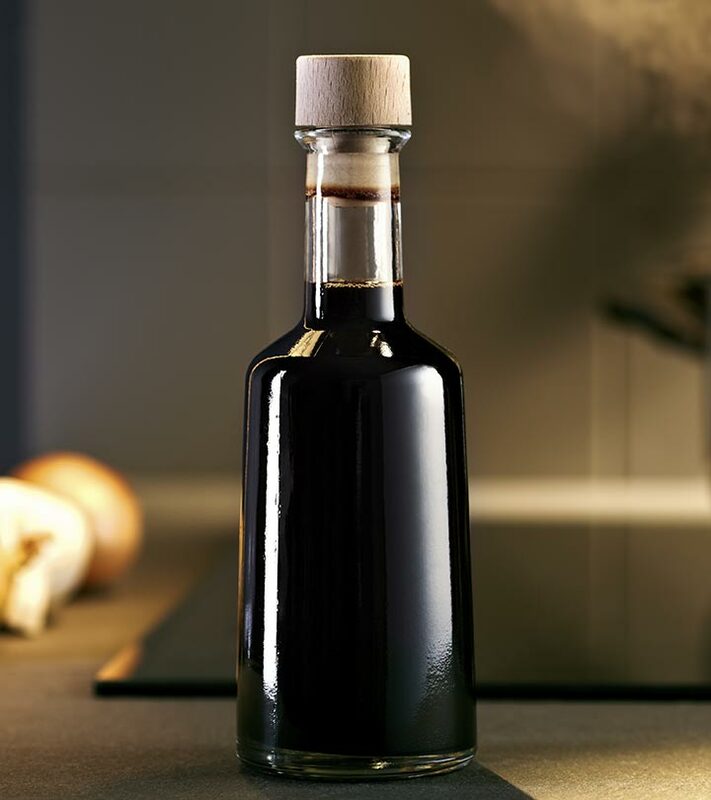 The sodium content in balsamic vinegar is also very low, which means that blood pressure is lowered, and the risk of heart attacks is reduced. The polyphenols in balsamic vinegar stimulate the activity of pepsin enzymes in your body. These digestive enzymes help proteins break down into amino acids. They also help your intestines absorb amino acids. When these acids are efficiently absorbed, it becomes easier for your body to build, repair and utilize cells. The pepsin and acetic acid in balsamic vinegar help in improving the body’s ability to absorb essential minerals such as calcium and magnesium. These minerals play an important role in the development of strong and healthy bones. Balsamic vinegar is rich in both these minerals. Balsamic vinegar has been used as a medicine to provide relief from different types of pain since ancient times. It is still commonly used as an effective remedy for migraines and headaches. Since it has antibacterial and antiviral properties, it can also be used to treat wounds and infections. As mentioned earlier, balsamic vinegar has high antioxidant properties. Antioxidants are vital for the destruction of free radicals in your body (4). Energy is produced when oxidation occurs in your body, and this energy helps in hampering free radical formation. Cell membranes in the body are destroyed by free radicals. They also make the arterial walls hard and cause premature aging. The antioxidants present in balsamic vinegar destroy the free radicals and protect the cells in your body. They also slow down the process of aging, making you youthful both within and without. Before gathering the ingredients for this vinegar, you will need to purchase five wine barrels of different sizes (large to small). Based on the flavor you want, you can choose barrels made of cherry, oak, chestnut or mulberry. You can find them in stores that provide different products used in winemaking. Before you use the barrels, clean them thoroughly to get rid of any bacteria and other impurities. You can use a mixture of water, salt, and vinegar and brush the barrels with this solution. This will ensure that your barrels are all cleaned well. To make balsamic vinegar, you can choose to use Trebbiano or Lambrusco grapes. You can also use them together. You should buy enough grapes to make sure that 80 percent of every barrel can be filled with the juice. The next thing that you need to do is crush the grapes so that the juice is extracted. Once you have the juice, separate the fruit from the liquid, using a sieve. Make sure that there is no pulp in the juice. Let it settle for about 15 minutes. After the juice has settled, pour it into a large kettle. Let it boil and then lower the heat to let it simmer for 24 hours at a temperature of 190 degrees Fahrenheit. This stage of making the vinegar requires patience, so do not rush. Do not go over 195 degrees as it will prevent your mosto from fermenting in the next stage. Mosto is a sweet syrup that is produced during the long process of simmering. Once the juice has reduced to half its original volume, you can let the mosto cool. Allow it to sit for a couple of hours. Next, transfer the mosto to a container that is non-reactive i.e. one that is made of glass or an open barrel. This is when it needs to ferment. Once it has fermented, transfer the mosto into the barrels. It is important to remember not to put the lid on the barrels. Instead, use a mesh cloth to cover the openings. This will allow the liquid to evaporate and continue to reduce. Needless to say, use a clean mesh. Now, you will need to leave the barrels alone and wait for six months for the liquid to turn into vinegar. After six months, transfer the liquid to the smallest barrel from the next largest. You need to repeat this process until you come to the largest barrel. For the next five years, you will need to transfer the mosto from the larger barrels to the next in size once every year. During this stage, you will need to take one liter of the vinegar that is stored in the smallest barrel. Your liquid has not yet turned into balsamic vinegar, but it is a different form of vinegar. The process of transferring the liquid needs to continue. You need to move the liquid from the larger barrels to the next in size once a year for another seven years. As you can see, the process of making balsamic vinegar is a long one. It takes at least 12 years for this vinegar to mature. What you get before that is vinegar, but not that of balsamic. After 12 years, you can get certification for your balsamic vinegar from the Italian consortium by sending it to them for testing. If it passes the standards, you can proudly say that you made authentic balsamic vinegar at your home! This vinegar is used to dress a wide variety of salads. For a fuss-free vinaigrette, all you need to do is mix the balsamic vinegar with a bit of extra virgin olive oil. It is tasty and healthy! For a creamier vinaigrette, blend the vinegar, a dash of mustard, olive oil and grated parmesan together in a food processor. You can create different balsamic vinaigrettes by experimenting with molasses, oranges, etc. You can use reduced balsamic vinegar over grilled veggies or meats for that Give your desserts and cocktails a twist this summer by adding a bit of balsamic vinegar to them. You can give your Bloody Mary something extra with a dash of this vinegar. Or you can use it on your favorite dessert too. It tastes divine with strawberries, so use it to make refreshing desserts with this fruit and fresh cream. You will love it and so will everyone else!extra flavor. It goes well with ribs as well as fish. The next time you have an outdoor party, use balsamic vinegar reduction as a glaze for the meats you cook on the grill. Give your desserts and cocktails a twist this summer by adding a bit of balsamic vinegar to them. You can give your Bloody Mary something extra with a dash of this vinegar. Or you can use it on your favorite dessert too. It tastes divine with strawberries, so use it to make refreshing desserts with this fruit and fresh cream. You will love it and so will everyone else! As already mentioned, for centuries balsamic vinegar has been used as a condiment, digestive aide, and tonic. It is currently still used as a folk remedy for a wide range of ailments. 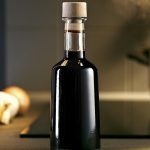 While many claims still require research, its richness in antioxidants, polyphenols, acetic acid and melanoidins, and the various health benefits they provide, make balsamic vinegar an important element to have in the kitchen. You too can keep your body functioning properly and make sure that it stays healthy. So, go on and add this vinegar to your daily diet! How To Make Jamun Vinegar And What Are Its Benefits? How To Make Rice Vinegar?